Have you been dreaming of owning a new DSLR Camera? Perhaps you want a brand new KitchenAid Standup Mixer. Well, you are in luck! 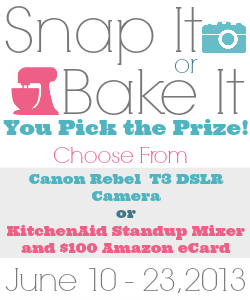 Now you have your chance to enter a giveaway to win your choice of a Canon Rebel T3 DSLR Camera or a KitchenAid Mixer plus a $100 Amazon eCard! 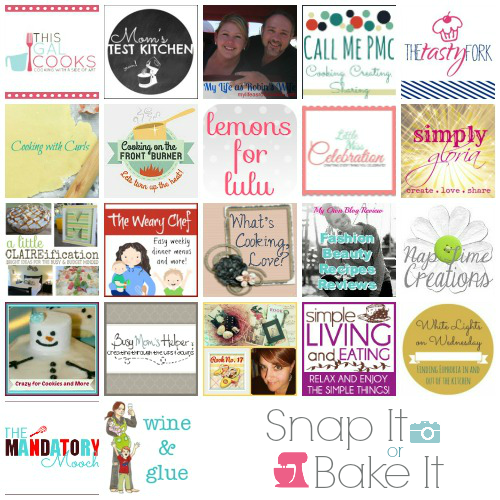 This giveaway is perfect for all bloggers. If you aren’t a baker, you can choose the camera! If you’re a baker who already has a DSLR camera but are in the market for a standup mixer, you can choose the mixer and the Amazon ecard. Already have both? One of these would make a great gift for one of your family members or friends. Whatever your situation, we have you covered. Before we get to the fun stuff, we’ll need to cover some basic legal stuff with you. For the full disclosure, please see the rafflecopter. What an amazing opportunity. I would so love a Cannon Rebel. It’s been on my dream list for sometime. Thank you! Love the choice in this giveaway! Either one would be great!!! Thanks!